Will Robotics Become The Future Of Healthcare? The market for robotics used in healthcare is set to increase exponentially over the coming years, increasing the sophistication of medical care, but perhaps leaving many medical professionals fearing for their jobs. 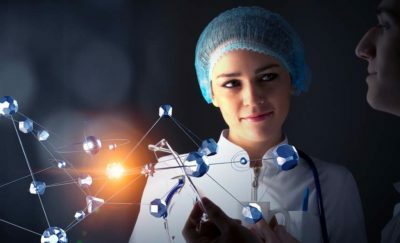 The advancement in technological innovation has seen an increase in computers and robots taking the place of humans, and the practice is to become commonplace among healthcare providers. According to research published by Tractica, the market for “surgical robots, hospital robots, and rehabilitation robots, will grow in revenue from $1.7 billion in 2016 to $2.8 billion by 2021, at a compound annual growth rate (CAGR) of 9.7%”. 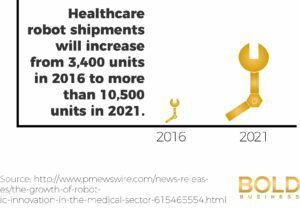 Financial Buzz states that healthcare robot shipments will “increase from approximately 3,400 units annually in 2016, to more than 10,500 units per year by 2021, with more than 38,400 cumulative units shipped during the forecasted period”. Robots have been perfected to conduct the jobs that are currently undertaken by humans, including: surgery, prosthetic limbs, hospital logistics, cleaning robots, disinfectant robots, robots used for rehabilitation, administration and many other areas. Critics argue that surgical robots are unable to provide the accuracy that humans can offer, while others argue the opposite. It’s a debate that is quite literally open for debate and only time will reveal the outcome. Although the technology is relatively new, Tractica research predicts that surgical robots “will be eclipsed by exoskeletons and prosthetics by the end of 2021” and even further technological advancements will be evident within the next 10 years. Google recently struck a deal with Johnson & Johnson to develop surgical robots that use artificial intelligence. Google’s life sciences division is set to work with Ethicon to create a robotics-assisted surgical platform to help doctors in the operating room. Bionik Laboratories, one of the United States’ leading technology firms, has devised the InMotion AnkleBot, an exoskeletal robotic system. The company states that their new robots use the same design principles used in InMotion rehabilitation systems. Experts at MIT, from the Newman Laboratory for Biomechanics and Human Rehabilitation, devised the AnkleBot which is helping to rehabilitate and improve research in many clinics across the United States. While, Accuray Incorporated has developed the CyberKnife System for low and intermediate-risk prostate cancer, which provides proven long-term results. According to company statistics, the disease-free survival rate for low-risk prostate cancer patients was 100 percent, and for intermediate-risk patients it was 88.5 percent. The CyberKnife System was designed to deliver “SBRT, a treatment process enabling the delivery of radiation throughout the body, with an extremely high degree of precision”. The system’s unique selling point is its ability to track and correct itself for movement of the prostate or tumor itself, which can move up to 10mm during surgery sessions. 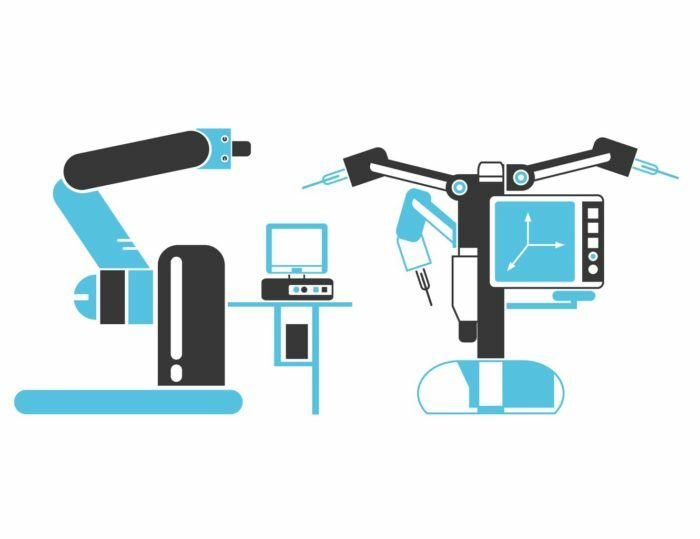 Not only are robotics becoming more mainstream in surgical procedures but are also more prevalent in other areas of hospital management and implementation. Cleaning personnel and administrative staff are being replaced at a rapid rate, and other areas are improving due to computer technology. What’s more, robotics are most definitely changing the way hospital staff and patients fit within the healthcare system. 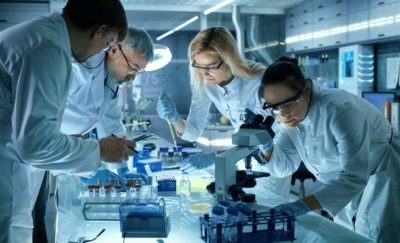 Although the technology may revolutionize the healthcare industry, the impact it will have on the workforce remains to be seen.